ISO 9000 certification is a growing trend as customers require it. Companies also are beginning to realize that the process it represents is an excellent way to assure their products and services will be of high quality and that their customers will be satisfied. Limited resources prevent many small businesses from establishing a quality system. Part of the problem is not knowing what is really required. Quality Systems Innovations, Inc. can help. We have developed a quality system which is easily customized for small businesses in a broad range of industries. 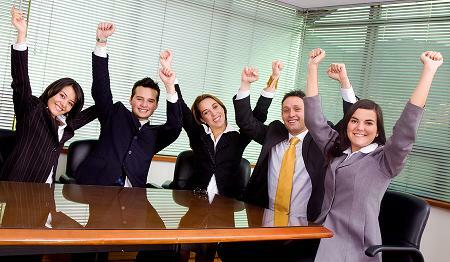 We have eliminated the bureaucratic approach commonly found in many large companies. Our pre-written ISO 9001 compliant quality system manual satisfies the international standards ISO 9001:2015, Quality management systems – Requirements and also ISO 26000:2010, Guidance on social responsibility. It includes 23 associated procedures and 37 forms, which you customize specifically for your needs. This manual will save you months of documentation time, significantly reducing your costs. Testimonial: "I have been involved with helping with QA Manuals at other companies to meet ISO 9001 and it took forever (years) to get to the point I am already at with your program. It has also been my experience that most QA Managers are very poor writers. I had borrowed a QA Manual from a friend's company to copy the format but even that would take a long time and it was not geared to ISO 9001. I had to change very few words in your manual to customize it for my company. I was able to do that in about half a day. I also found that your manual was very thorough but also very flexible and did not paint us into corners that some many QA Manuals do. I think it was one of the best investments my young company has made." VQC Advisor is a computer-based training/advisory program that provides you with an overview of key ISO management system requirements and then advises on the best way to customize your documentation to satisfy those requirements. Adherence to ISO 9001 improves efficiency, productivity, and effectiveness as well as communication and quality awareness. 360training offers this on-line course which begins with an introduction to the ISO 9001 standard and recent changes. ISO promotes quality management processes for all businesses and organizations, improving service and productivity. It will explore the many benefits of ISO certification, the seven universally accepted quality management principles defined in ISO 9001:2015, and the process approach. Understanding and managing interrelated processes as a system contributes to an organization's effectiveness and efficiency in achieving its intended results. In 1987, the Geneva-based International Organization for Standardization (ISO) published the ISO 9000 series international standards to serve as the basis for a quality management system. It is the descendant of British standard BS-5750. The American equivalent is Q9000. Since the original release, the standards have been revised in 1994, 2000, 2008, and 2015. Registration is granted by accredited organizations called registrars, who review the company’s quality manual and procedures to ensure that they meet the requirements of the applicable standard, and audit the processes to ensure that the documented system is implemented and effective. Once registration is granted, the registrar conducts surveillance audits once to twice per year to ensure that the system continues to be implemented and meets the requirements of the applicable standard. ISO 9000, which couples a total quality management approach with documentation methodology to create an internal auditing system, is also the first-ever attempt to create an international quality assurance standard to cover all industries and the service sector. ISO 9000:2015 describes underlying concepts and approaches for the ISO 9000 family, and provides definitions for the vocabulary. ISO 9000 is not a specification, however, it is named in ISO 9001 as a normative reference and thus can be used by auditors to support their interpretation of ISO 9001 requirements — in particular in reference to the vocabulary. ISO 9001:2015 is the actual requirements for the quality management system. Its requirements define the criteria for the quality system. The role of this standard in the series has not changed, but its content and organization are completely revised. ISO 9004:2009 describes a quality system that goes beyond the basic requirements specified in ISO 9001. 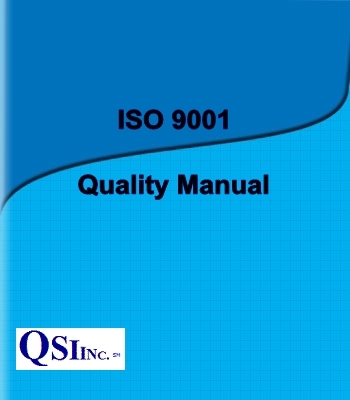 It is intended as a guide for organizations that want to further expand and improve the quality system after implementing ISO 9001 (i.e., in the post-certification phases). ISO 9004 is not a requirement and should not be used by third-party auditors for registration audits. What is an ISO 9001 Compliant Quality System? An ISO 9001 compliant quality system satisfies the requirements of the ISO 9001 standard but has not been formally assessed and registered by a third party registrar. This means that you could enjoy the benefits of an ISO 9001 Compliant Quality System without going through the expense normally associated with registration. You would be in a position to register at anytime should the need arise. Quality Systems Innovations Inc. offers a New Product Development and Introduction Manual to help you to succeed with your new products while complying with ISO 9000 requirements. You will save time and money in the process by developing the right product in the minimum time while maintaining control of your costs. As always with QSI's products, the manual is tailored to your needs, and we guide you every step of the way.